Please send me more information on Rancho Madrigal Adventure Tours! A magical journey awaits you at Rancho Madrigal, where you’ll embark on an unforgettable exploration of the magical desert landscape accompanied by experienced guides. 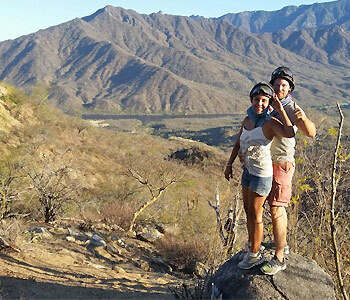 Hop aboard your ATV to experience the adventure and wonder of Baja Sur as you ride through canyons, stream beds, arroyos and mountainous terrain as you ascend 2,300 feet up into the Sierra Madre mountain range. Along the way, you’ll have the opportunity to view native flora and fauna, including many endemic bird species in their natural habitat. Upon arriving back at the ranch, you’ll enjoy traditional local cuisine and have the opportunity to take a swim in the breathtaking granite stone swimming pool - the perfect ending to a memorable and authentic taste of Baja California Sur.